Happy Mask Wednesday everyone - I feel like it has been so long since I purchased a Lush Fresh Face Mask! 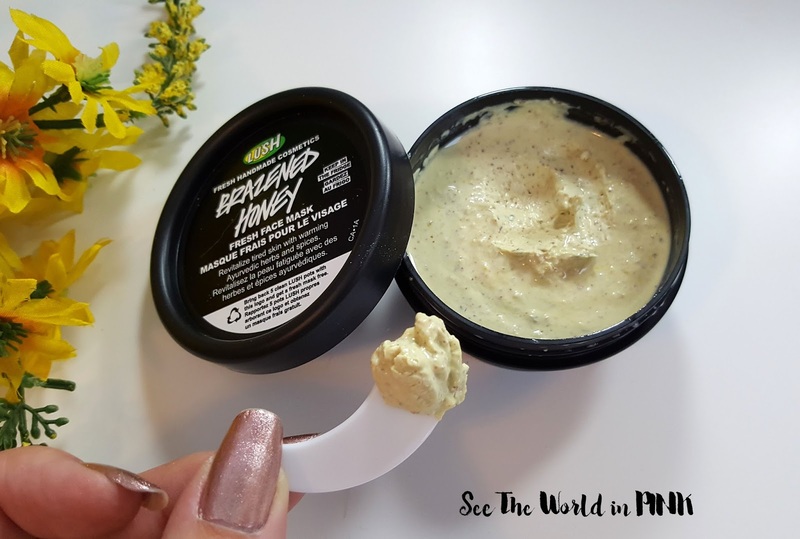 I am so excited to try this Brazened Honey mask - I have heard really great reviews about this one! 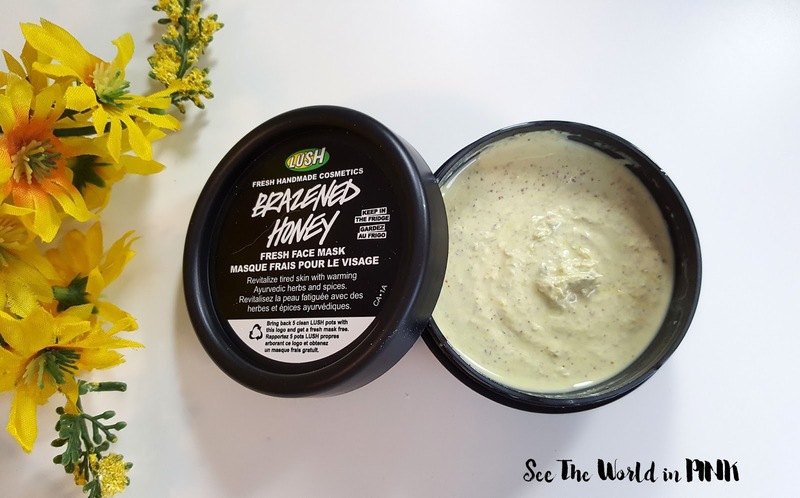 Lush Brazened Honey Fresh Face Mask ~ $9.95. This deeply cleansing mask is full of herbs and spices used in traditional Ayurvedic medicine, like ginger, fennel, cardamom and turmeric: these gorgeous ingredients stimulate and warm the skin to give you a healthy glow. At the same time, lime oil brightens, honey moisturizes and ground almonds give a thorough exfoliation, all in a deep-cleansing kaolin clay base. Slap this on to revive sluggish or congested skin. This mask is suggested for oily or congested skin - I don't tend to have oily skin, with the exception of my t-zone some of the time. I will say, my skin does need a deep cleanse though!! I have found being pregnant has really affected my skin - probably because of the extra hormone going around, plus I'm so exhausted I know my skincare routine is not where it was pre-pregnancy! Whatever the cause may be, it has certainly impacted my skin so I need a little extra cleanse! This mask has a really similar consistency to the other Lush fresh masks - this is a clay based mask so it is on the thicker side. You can smell the spices used in this mask when you apply it - especially the ginger! Along with the honey, it actually reminds me of a cup of tea! This mask is easy to use - wash face, tone skin, apply mask and smooth all over face, leave on for 15 minutes, and rinse off! (These Lush masks can be a little hard to remove, so I flake off chunks and then use a face cloth to help rinse off!) I will say though, this was easier to rinse off than some of the other Lush masks that I have tried! Overall, I was really happy with the results of this mask! It absolutely delivered on deep cleansing my skin! 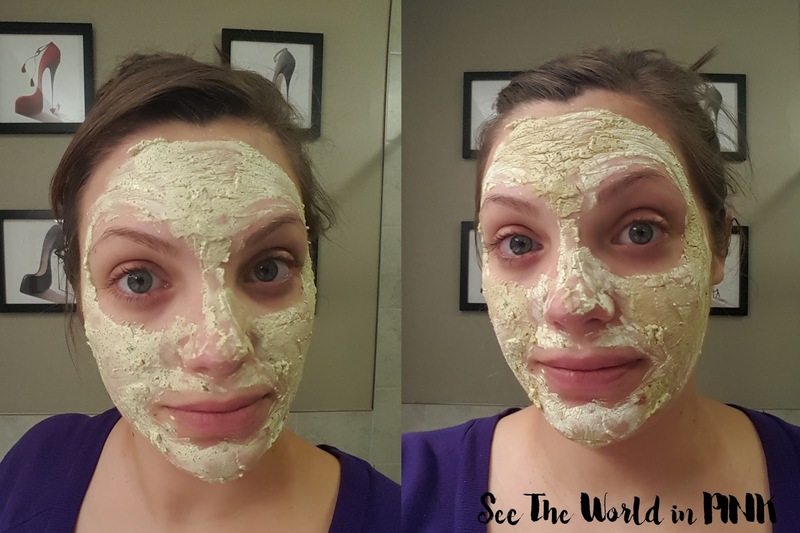 I was worried that because this mask is made for oily skin that it may be drying on my skin type - this was not the case! The honey in this mask helps keep skin hydrated! I also found the ingredients helped brighten and improve the overall look of my skin, making it feel really clean and fresh!! Have you tried this (or any other) Lush Fresh Face Mask yet? What did you think?